Editor’s note: This article was last updated on October 23, 2017, to include info on Apple Music’s original programming and show-based content. Apple singlehandedly turned the digital music marketplace on its head when it launched the iTunes Store in 2003, and now it’s going after the current hottest trend: Streaming media. Apple Music launched in 2015 to take on the likes of Spotify, Tidal, and other streaming subscription services. Now that it has hit its two-year mark, Apple Music is showing no signs of slowing down—Apple is using the platform to launch original content and television shows, as well as exclusive content from artists. Still, whether you’re new to Apple Music or have been a subscriber since Day One, there’s a lot to take in—especially if you’re considering jumping ship from Spotify. Our guide to everything Apple Music can help set the record straight. Apple music’s For You section serves up artist and playlist recommendations, based on other things you’ve listened to and your profile preferences. What the heck is this thing? Apple Music combines subscription-based music streaming with global radio-like programming and a social feature that connects artists to fans. It’s bundled within iOS starting with version 8.4 and iTunes 12.2 (and all versions of iOS and macOS going forward). The service will come pre-installed on all iOS and macOS devices, but users will be able to stream music instead of purchase music. It’s an all-you-can-eat service for subscribers: Pay a flat fee, and you unlock all of Apple Music’s extensive 30 million-song library. Apple Music is also the new home for your personal music collection on your iOS devices. Isn’t that the same as iTunes? Not at all. iTunes is all about media ownership, functioning as both a virtual record store and an efficient digital library for music and other media (movies, TV shows, etc) that you own personally. The software comes pre-installed on all Apple devices, and is available as a free download for non-Apple PCs and mobile devices. iTunes doesn’t require a subscription fee to use it (unless you use iTunes Match—more on that in a moment), since every song, album, movie, or show was purchased individually—either from the iTunes Store, or imported or ripped from another source. Apple Music is all about streaming. You pay a flat fee to unlock access to Apple Music’s entire catalogue, but you don’t actually own the music you listen to. The files don’t live individually on your devices; you’re instead just listening to tracks stored remotely, that are owned by Apple. If you subscribe to any other media streaming subscription service—be it a music-only service like Spotify or Tidal, a TV service like Hulu, or a movie/TV combo service like Netflix or HBO Now—Apple Music functions the same way. So, iTunes is dead? Not exactly. You can access your entire iTunes library from within Apple Music—just tap the My Music tab—and iTunes will still be a standalone app and media store if you’d prefer to continue to buy music a la carte. However, if you’ve let purchasing music fall by the wayside, you may never have to open iTunes again if you sign up for an Apple Music subscription. What makes Apple Music different from Spotify/Tidal/every other music subscription service? Apple is putting a lot of emphasis on Apple Music’s three additional features: Beats 1, curated playlists, and Connect. Beats 1 is Apple Music’s 24/7 live radio station, which has a curated collection of songs and artist interviews. Beats 1 is its radio offering, which features an around-the-clock worldwide live broadcast from DJs based in Los Angeles, New York, and London. It promises to deliver a curated selection of songs, pop culture news, and interviews with artists. Speaking of curation, Apple Music also offers up recommendations tailored to your tastes, looking at artists you like and serving up other artists and playlists for you to listen to. But instead of being built by algorithms, they are built by real people, according to Apple. You can find these in the “For You” section of the app—but first you’ll have to set it up by following the prompts to select genres and artists you like. Connect is Apple Music’s artist-based social networking feature, which lets fans follow artists. Artists can share special content with fans through Connect—for example, hip-hop artists Drake uses the service to post behind-the-scenes photos of his life, share snippets of new songs, and other content. Besides Drake, you’ll find Connect profiles for Pharrell Williams, FKA twigs, Chris Cornell, Bastille, Alabama Shakes, Pearl Jam, and more. Apple has also created genre-specific profiles to follow. Apple automatically has you follow artists when you add their songs to your music library, but you can opt out of this (and find other artists to follow) in your account settings. Pick your favorite genres and artists to get the best recommendations possible. Besides that, Apple Music’s library has 30 million songs—the same number as Spotify, though the exact track listings vary. Oh, and you can also watch music videos without ads—something that no other streaming service currently offers—and watch Apple’s exclusive original content and shows. How much does this cost? Apple Music costs $9.99 per month, or $14.99 per month for a family subscription for up to six people (which requires iCloud Family Sharing). College students can subscribe for only $4.99 per month. Is there a free, ad-supported version? Sadly, no. Some aspects will be available to anyone who logs in with an Apple ID—namely, Beats 1, the ability to follow artists on Connect, and the ability to listen to Apple Music radio stations with a limited number of skips—but a paid subscription is required to access Apple Music’s entire library. What devices can I use this on? Apple Music is available for all iPhones, iPads, and iPod touch models that are running iOS 8.4 or later. It’s also available on the Mac and PC (via iTunes 12.2 or later), Apple TV (running tvOS 9 and newer), and on Apple Watch. Android users can join in on the fun, too, if their device is running Android 4.3 (Jelly Bean) or newer. Wait, did you say Android? Yes! Android users can sign up and have access to Apple Music’s complete catalogue, but they’ll miss out on its full array of features (like voice commands). Music for all! Can I try before I buy? Yes. Apple offers a three-month free trial for new subscribers. Does it work with AirPlay? Yes! Each song or music video has an AirPlay button next to it—just tap it and select the device you want to beam to. Which countries have access to Apple Music? Apple Music is available in more than 100 countries worldwide, including the U.S., Canada, the U.K., Australia, Japan, Brazil, and India. Check out Apple’s complete list for more info. If I subscribe to Apple Music, do I still need my iTunes Match subscription to keep my complete music collection together? According to Apple, iTunes Match and Apple Music are completely separate services, so it will be up to you to decide if you’d like to keep iTunes Match. If your personal music collection has a lot of rare tracks and content that you can’t get through Apple Music, then you may want to consider keeping both subscriptions. 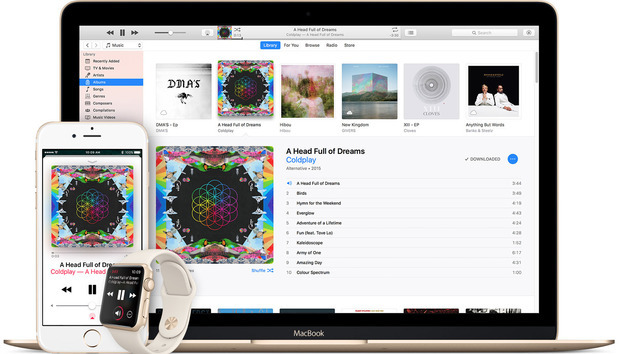 Check out our explainer to learn more about how Apple Music and iTunes Match work together. I spent years perfecting my playlists on Spotify and iTunes. Can I import these into Apple Music? Your iTunes playlists will automatically be pulled into Apple Music when you set up your account, as will the rest of your iTunes library. However, if you use Spotify, Google Play Music, or any other music subscription service, you’re out of luck—there is no easy way to directly import your playlists into Apple Music. Add “automatic playlist bridge between non-Apple streaming services” to our Apple Music wish list. There are some third-party playlist importers out there, like Stamp, but we haven’t tried any of them first hand. Does Apple Music offer any original content? As in, TV shows? Yes. 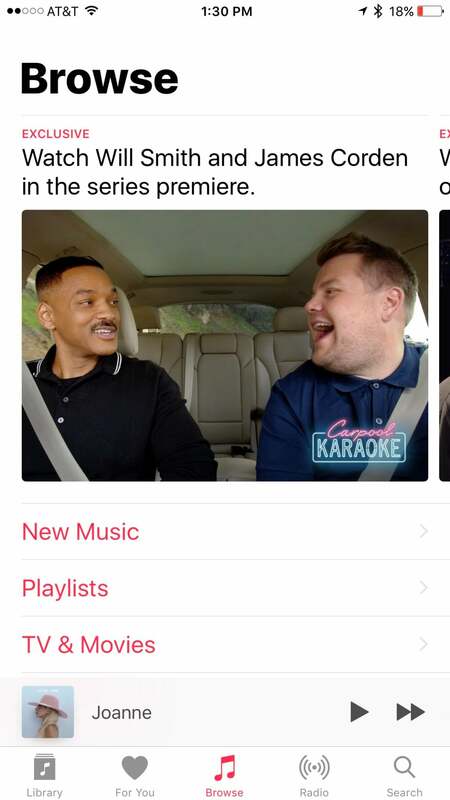 Currently, Apple Music has two original series exclusive for subscribers—Carpool Karaoke: The Series, and Planet of the Apps. Carpool Karaoke: The Series is a spinoff of the popular segment regularly featured on The Late Late Show with James Corden, following the same format (celebrities in cars singing along to their favorite jams) and hosted by Corden. Planet of the Apps is a Shark Tank-style game show where developers pitch iOS app ideas to a panel of celebrity judges (Jessica Alba, Gwyneth Paltrow, Gary Vaynerchuk, and will.i.am). You can find Apple’s original content in the Browse tab. Does Apple have any other programming in the works? Yes. In fact, the company is investing about $1 billion in original programming, which means it could buy or create up to 10 original shows. The first show announced after this investment deal was Steven Spielberg’s Amazing Stories, a revival of his 1980’s sci-fi anthology series. How’s the music quality? Apple Music streams songs at 256kbps, which is the same rate as iTunes Match. That’s a bit of a drop from Spotify and the now-defunct Beats Music, which use a 320kbps bitrate. And competitor Tidal boasts more than just major celebrity endorsements: It offers a high-bitrate option (1411kbps lossless FLAC) at a pricier subscription rate, the “HiFi” tier for $19.99 a month. Does Apple Music link with Sonos? Yes! If you have Sonos speakers set up in your home, getting started with Apple Music streaming is easy: just open the Sonos app and choose “add music services.” Select Apple Music and log in. You can easily sync music for offline listening, and release those tracks back into the cloud to make more space on your device. Can I save music to listen to offline? Yep! Apple Music lets you save tracks to listen to offline—you can save as many songs as you’d like, as long as your device has space for them. But remember: You won’t own those files and you won’t be able to offload them anywhere else. You can’t burn them onto a disc, use them in separate video projects, or put them on other devices that aren’t linked to your Apple Music account. If you decide to cancel your Apple Music subscription, you’ll lose access to those songs. However, the offline listening feature is a great option if you’re concerned about data overages, or if you know you’ll be in an area without a good wireless connection. To save items for offline listening, tap the “More” button next to the artist, song, album, or playlist you want to save. Then select “Download” and the songs will start downloading. If you want to only view your offline music, head on over to your Library and select “Downloaded Music,” which you can then browse by Playlist, Artist, Album, or Song. If I save too much music for offline listening, how can I delete to clear up iPhone/iPad space? 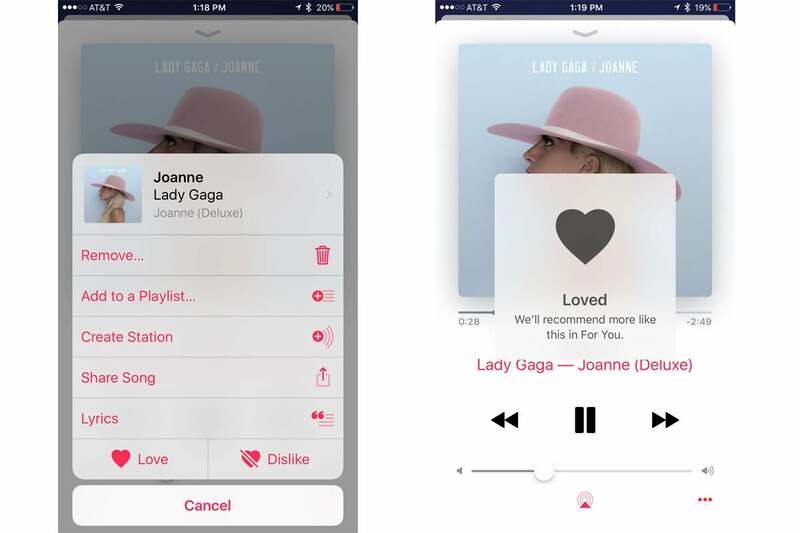 The process is similar to adding music: Tap the “More” button next to the artist, song, album, or playlist you want to ditch, then tap “Remove” from the pop-up list. When I add a playlist or album to my Library, does it auto download to my device when on Wi-Fi? No, it won’t automatically download to your device. You’ll have to mark that playlist or album for offline listening. How will Beats 1 differ from iTunes Radio? iTunes Radio takes the Pandora-style approach to radio, where users create their own stations based around songs, artists, albums, or genres, and iTunes serves up songs that flow well around that theme. You can still use a version of iTunes Radio within Apple Music—but it’s now called Apple Music radio stations. However, iTunes Radio stations were built by algorithms, and Apple Music’s radio stations will mostly be hand-built. What’s really neat is that every user around the world hears the same content at the same time, and these stations take a much more curated approach to radio than iTunes Radio does. Will standalone iTunes Radio remain a free service? Will iTunes Radio stations sponsored by record labels be moving to Apple Music, or will they be dropped? Beats 1 and Apple Music’s radio stations are free to anyone with an Apple ID—though the genre- and artist-based radio stations will be ad-supported and have a limit on song skips. If you created your own stations, they’ll sync over, and you can find them in the Radio tab. However, many of iTunes Radio’s former stations sponsored by record labels have disappeared, so you may be out of luck. For more, check out our how-to on personalizing your own Apple Music radio stations. What genres does Beats 1 focus on? Actually, Beats 1 doesn’t really focus on one specific genre like traditional AM/FM radio stations do. On any given day, you’ll hear a healthy mix of indie rock, hip-hop, pop, funk, electronic, classic rock, dance music, and more, all artfully woven together in a way that doesn’t sound like a hot mess. DJ Zane Lowe mentioned in the station’s opening remarks that Beats 1 is simply about great music, and it serves as a solid jumping off point for discovery. The Beats 1 DJs also select one track as their daily World Record, and that song gets played hourly on the half-hour mark. Besides the daily rotation of DJs, Beats 1 includes special programming from other artists as well—like exclusive content and interviews from DJ Khaled. You can check out a full monthly schedule over at Beats’ guide page. How do I add songs from Beats 1 to playlists? Heard a song on Beats 1 that’s so good, you know you’ll want to listen to it again? Tap “+” in the bottom left corner while a song is playing to add it to your Library. Or tap the More button (which looks like “...”) in the bottom right corner to add it to a playlist, create a station of similar-sounding songs, share the song with a friend, or view the song’s lyrics. Will Apple Music have the ability to make Genius playlists with saved music from the service, like I can do with my own music in iTunes? Maybe. Our friends over at iMore report that you just need to configure this in iOS’s settings, however not all of us at Macworld have the Genius option on our devices. Is there a limit to the number of songs you can have in a playlist? Not that we’re aware of! Add away. How do you tell it what songs you don’t like? When listening to a playlist or radio station, you can skip any song you don’t like (except for in Beats 1, which is live). While this should signal to Apple Music that you don’t want to hear that song or artist again, it might be finicky at times. Alternatively, tap the “heart” icon next to any song you really like. 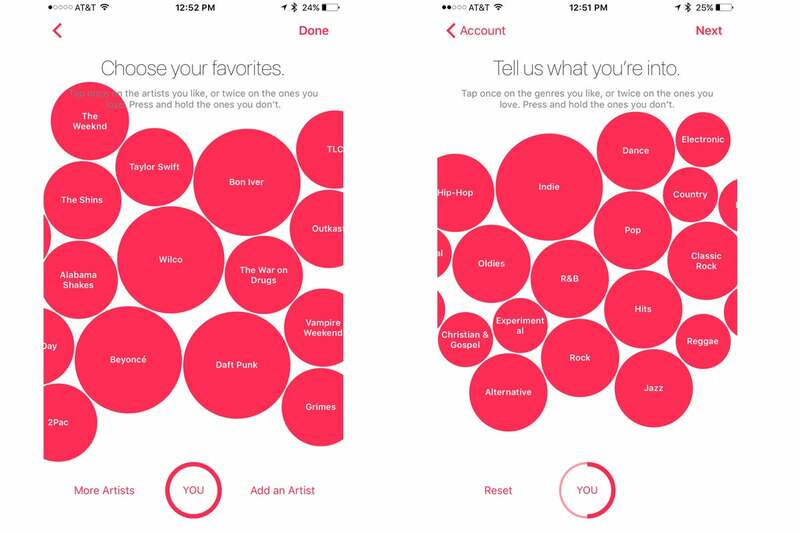 Make note of which songs you like—this will help Apple Music find the best recommendations for you. When a song is playing, how can you go to that artist page, or album? This used to be quite complicated, but Apple has since made it much easier—just tap on the artist’s name. Where do songs or artists show up when you add them to my Library? They automatically appear in the Library tab, where you can sort your collection alphabetically by artist, album, or song title. You’ll also find all of your playlists, and your list of downloaded music saved for offline listening. Scroll down to find your recently added music. I’ve been hearing a bunch of hullabaloo about Apple not paying artists royalties during the three month trial period. What’s up with that? Will Apple be paying Apple Music artists royalties? Of course Apple will be paying artists royalties, but this hax been a hot topic in the weeks leading up to Apple Music’s launch. We’ve covered the great Apple versus Taylor Swift showdown of 2015 extensively, so here’s a quick recap: Originally, Apple wasn’t going to pay record labels and artists any royalties during Apple Music’s three-month free trial period, but that didn’t go over well with independent labels… or Taylor Swift. Swift and select indie labels declined to join Apple Music, and Swift published an open letter to Apple expressing her disappointment with the company. Apple responded to the letter by agreeing to pay royalties, and Swift in turn agreed to give Apple Music subscribers access to her album 1989—which she has kept from all other streaming services. Those indie labels jumped on board as well. Now, artists will receive a small royalty for each song that is streamed for free during the three-month trial, and the full royalty agreement began when the initial trial period ended on September 30, 2015. Do Apple Music subscribers have access to the entire iTunes catalogue? Which artists are missing? Apple Music has a library of roughly 30 million songs. iTunes? Its store sells 43 million songs worldwide. There are many artists still holding out on streaming services, but most have joined in. So, why is there stuff on the iTunes Store that isn’t on Apple Music? It all comes down to the deals Apple has made with various artists and record labels. What about podcasts? Apple Music currently doesn’t offer any support for podcasts (boo! ).